How many birds in our area? Each year the garden bird survey gives us all the opportunity to count birds for 1 hour – in our local parks or in our back garden. How many different types of birds do we have on Waititiko Meola Creek? Below is the link for you to participate at home. Or contact us via this site or facebook if you would like to join us in a local park on Waititiko. The dates this year are: 30 June to 8 July 2018 and it is easy to enter the data online. 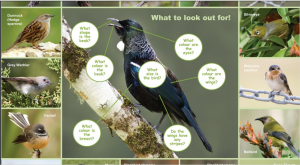 All the info you need is here: Garden bird survey 2018 – they even have a cool poster to help you id the birds. Please join us in appreciating our environment. 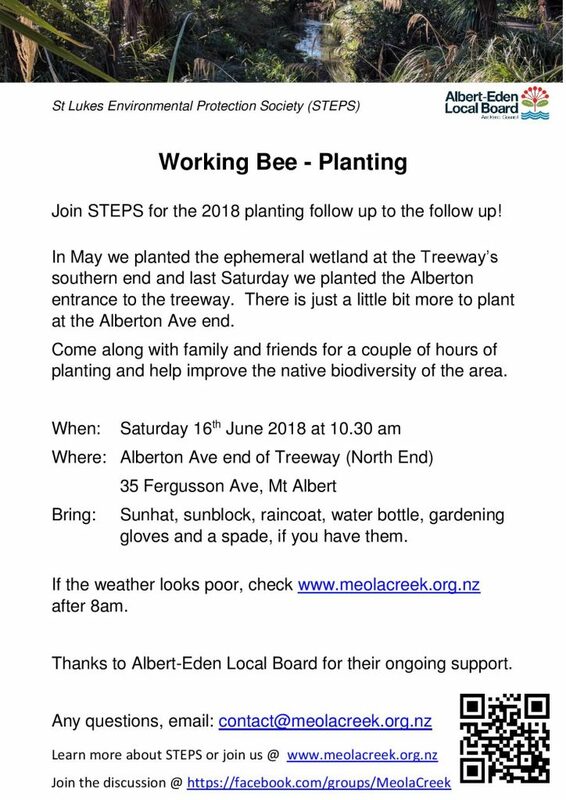 Thanks to all that attended and took part in the STEPS AGM, and listened to our guest speakers Andrew Chin of Healthy Waters, and Bernice Chiam of Watercare. A successful evening all round!